Lal Bahadur Shastri National Academy of Administration (LBSNAA), Mussoorie invites application for the recruitment of Research Officer at LBSNAA, Mussoorie, Uttarakhand. 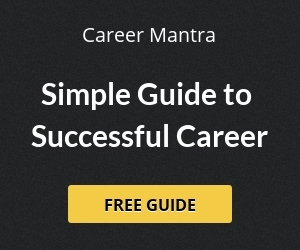 This recruitment is purely contractual base. Interested candidates may apply on before 02 Aug 2017. LBSNAA Mussoorie is a research and training institute on public policy and public administration in India. Operated by India’s Union Government, LBSNAA is located in the remote town of Mussoorie, Uttarakhand. The academy’s main purpose is to train civil service officers of the Indian Administrative Service, Indian Revenue Service, Indian Police Service and the Indian Foreign Service. Research Officer 01 Rs. 56,100/- p.m. Candidate should be Post graduation any discipline of Science/ Social Sciences/ Environment/Disaster Management with 5 years experience in designing and organizing training programmes. Selection of candidate will be based on their qualification and experience. 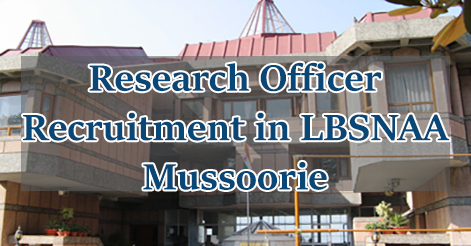 Help us to improve this article/job posting "Research Officer Recruitment in LBSNAA Mussoorie". We would be glad if you can comment below and provide your valuable suggestions and feedback. If this page have any wrong information/list or out of context content, then you can report us as well.